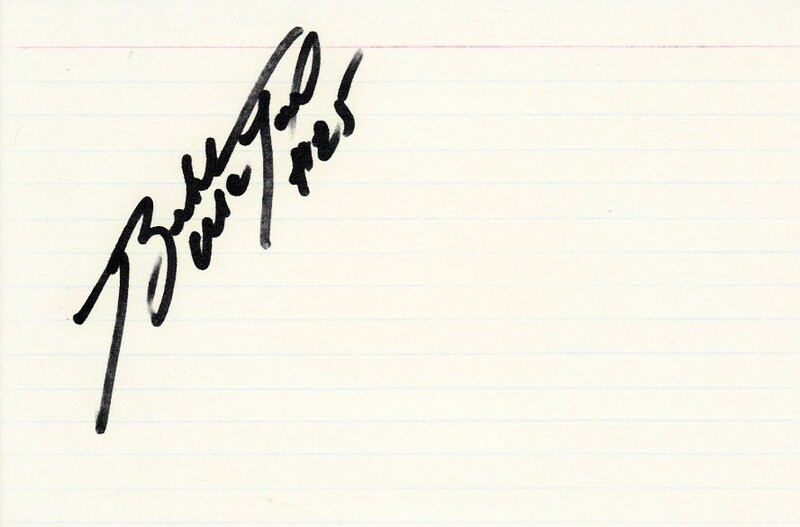 4x6 lined index card autographed in black marker by former Houston Oilers safety Bubba McDowell, starting cornerback on the 1987 Miami Hurricanes National Championship team. Obtained in person, with certificate of authenticity from AutographsForSale.com. ONLY ONE AVAILABLE FOR SALE.